I love sailing; the waves, wind, sunshine, and blue skies. The sunshine and blue skies were somewhat fleeting this time around, but we got an extra portion of wind. So much so that there was a small craft advisory on Lake Michigan. 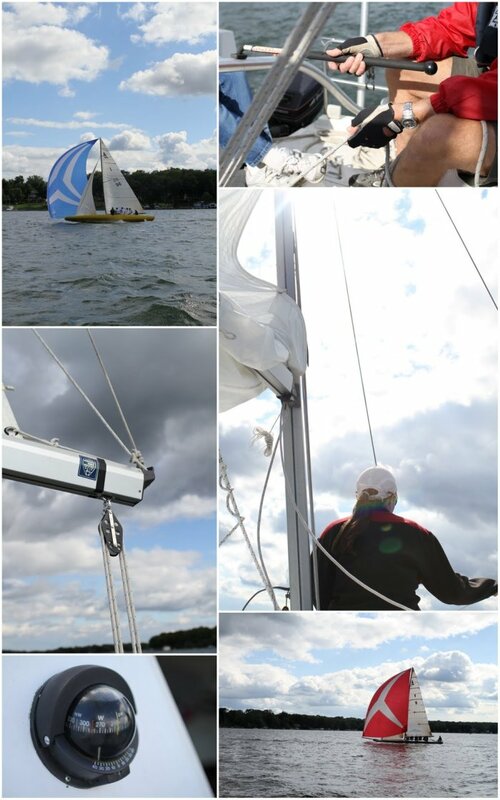 So we set sail on Pewaukee Lake. We saw some of a sailboat race going on. Those big colorful sails are called spinnakers. Who knew!?! Now you can go impress your friends because now you know! What was something special you got to do over your Labor Day weekend? Did the weather interrupt any of your plans?